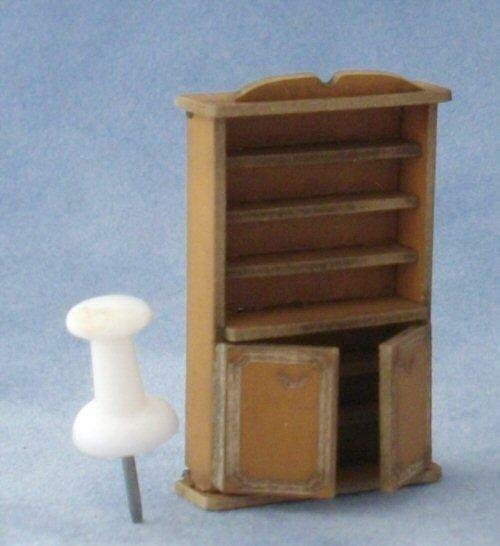 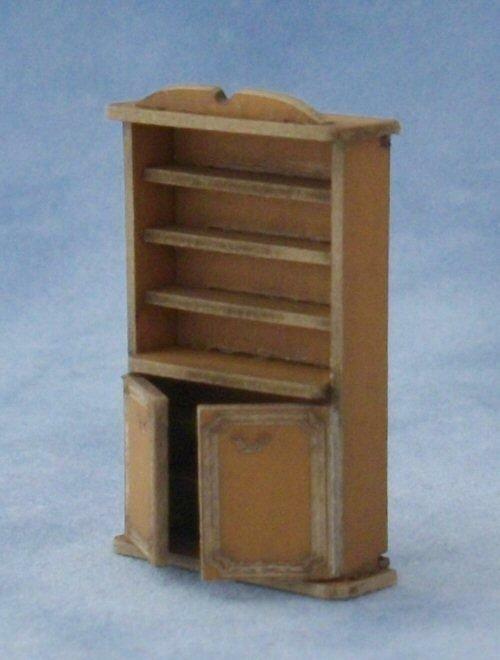 Tall bookshelf with cupboard kit suitable for 1/48th scale. 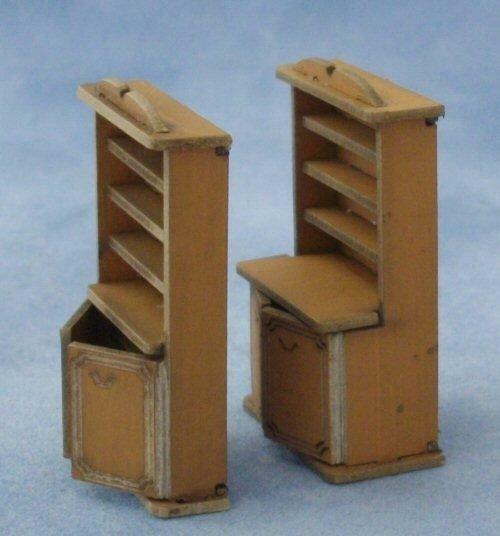 Last picture shows difference between this kit and the welsh dresser kit. 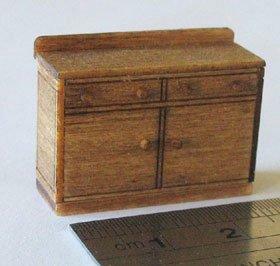 Measures 38mm tall x 24mm wide x 7mm deep.